Introducing seven breakout authors highlighting their work in historical western romances. 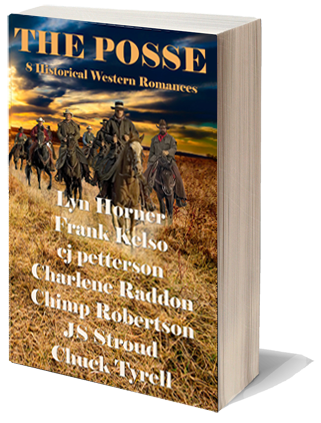 These short stories display the author’s inventive story telling in traditional western settings. Each tale develops strong male and female characters with the western gumption “to stay at it ’til the job is done—and done right.” There are threats and dangers, with a desperado or two receiving western justice, but nothing you wouldn’t read to your children or grandchildren.